I get it -KOJA- what a great name! 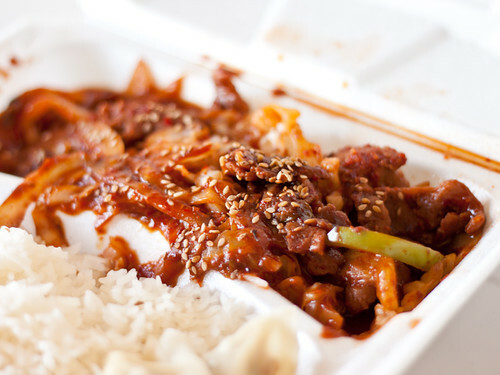 pork bulgogi is actually the right term - uses pork and is usually spicy. 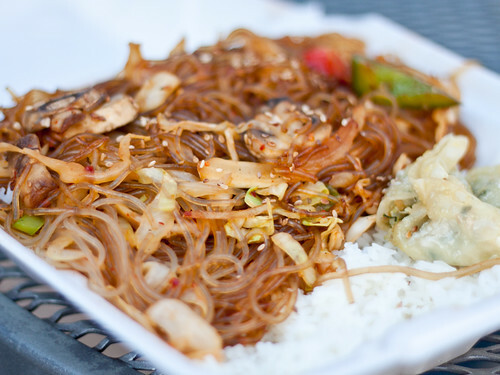 omg, I need to try their japchae! 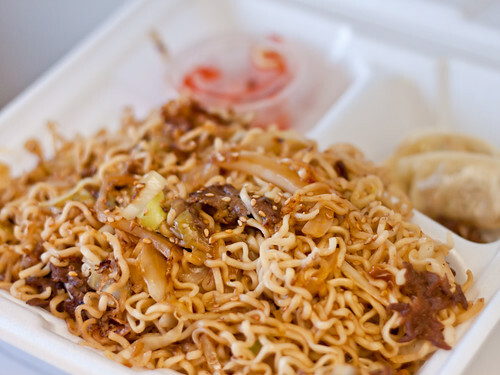 That actually looks really good, though I don't really like their noodles that much. Noodles on top of rice. It doesn't get much better. The yakisoba look they started off using a package of Top Ramen. esther - but I think both of them are Korean... so are they just making bootleg Japanese food under the guise of their truck name!? DECEPTION AT ITS FINEST. 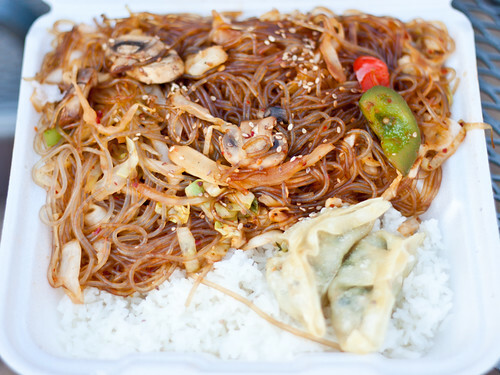 munchimonster - the japchae >> noodles. The noodles aren't great, they're just not bad. Rodzilla - you speaketh the truth man. Werd. Nicholas, I've been avoiding your blog cuz I'm on a diet and everything you post makes me HUNGRY! Anyhoo, the grub looks good, especially the jap chae.